Now that hemp is a federally legal product, the door is open for large institutional investors to enter the market and pump millions – if not billions – of dollars into hemp and CBD companies. And hemp companies that have relied on private equity or turned to Canada’s public markets to raise capital have new direct paths to large funding pools in the United States. Major commercial banks, investment banks, hedge funds and pension funds that have been sidelined from betting on the space will soon have a host of new investment opportunities to consider. Hemp companies also should have an easier time going public in this country. But a question remains for hemp entrepreneurs: How can you tap the potential wave of investment dollars that appear headed for the hemp industry? Focus on fundamentals: “Investors are putting their thinking caps back on, and businesses need to show them what they’re going to do to create sustainable value,” said Harrison Phillips, vice president at Viridian. Companies that don’t have their financials in order – or are predicting unrealistic returns – will be passed over by savvy investors. Round out your executive team: Investors want to back operations run by management teams that have had success in the past. A board and executive team that blends industry expertise and experience leading successful companies outside hemp will have a big advantage luring the capital needed to scale and grow, Phillips said. At first blush, the investment opportunities for institutional investors appear promising. The Farm Bill is expected to usher in rapid growth as major consumer packaged goods (CPG) companies consider CBD-infused products for their portfolios and thousands of U.S. chain retailers hustle to stock the goods on their shelves. “It’s a booming market with a lot of opportunity,” said Smoke Wallin, CEO of Vertical Wellness, which is planning to launch an initial public offering (IPO) in the first half of this year. The business was formed in January after Vertical Companies – a Los Angeles-based medical and recreational marijuana company with multistate operations – spun off its hemp-based CBD assets. Vertical Wellness already has sunk $60 million into its operations – capital raised through family offices and high-net-worth investors. The firm is now planning to list on the Nasdaq with a target of raising $50 million-$100 million ahead of going public as it works to scale its production and footprint. “We are well-positioned and believe we will be able to attract institutional capital and large hedge funds to back this endeavor,” Wallin said. Vertical Wellness has inked farming contracts for up to 5,000 acres of hemp production that could yield an estimated $1 billion worth of CBD oil, Wallin said. The company is also investing in the expansion of its 90,000-square-foot facility in Kentucky to process hemp and produce a variety of hemp-based CBD products. “We plan to be the major ingredient provider to mainstream CPG companies,” he said. “The second (that) Nestle and Coke (enter the market), they are going to need incredibly large quantities of this product. We want to be in a position to be their reliable domestic source. 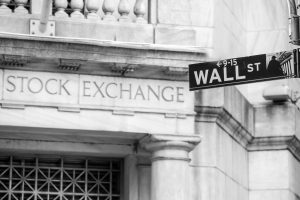 With the Farm Bill’s passage, hemp companies that don’t include marijuana connections are no longer on the list of operations banned from uplisting to the Nasdaq or the New York Stock Exchange – the world’s largest public exchanges. While the Farm Bill’s passage paves the way for hemp firms to tap public markets in the U.S. as well as larger pools of capital, making the move from a private company to a public firm is an enormous undertaking. Launching an IPO and listing on a major U.S. exchange require loads of financial disclosures, transparency and corporate responsibility. Does your company meet the exchange requirements? For example, in order to list on the Nasdaq, firms must adhere to strict corporate governance rules and have a minimum of 1.25 million publicly traded shares at the time of their listing. Firms that win approval for their public listing have often put in the hard work ahead of time on their private funding efforts. Companies should carefully consider how they market to institutions and these types of shareholders. Will your firm solely target institutional investors, or are retail investors allowed to participate? Going public is a pricey venture, with legal fees and other costs. Firms can expect the move to easily carry a seven-figure price tag.